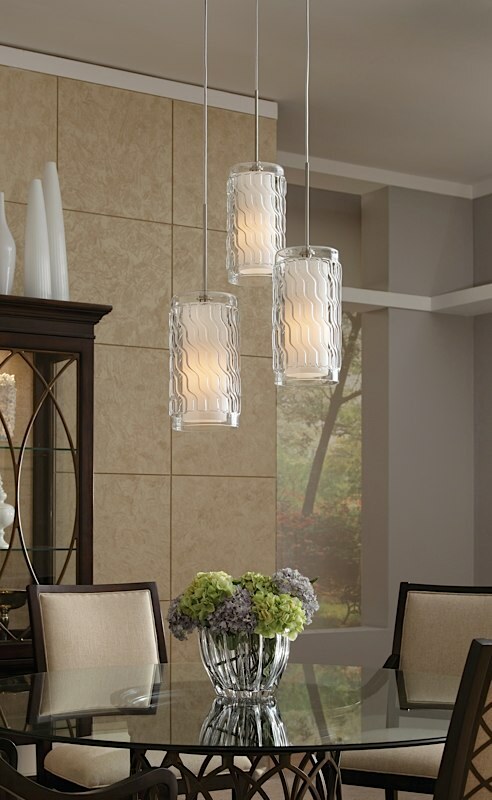 The Liza Grande has a contemporary look, but it simultaneously retains a vintage design inspiration as well. 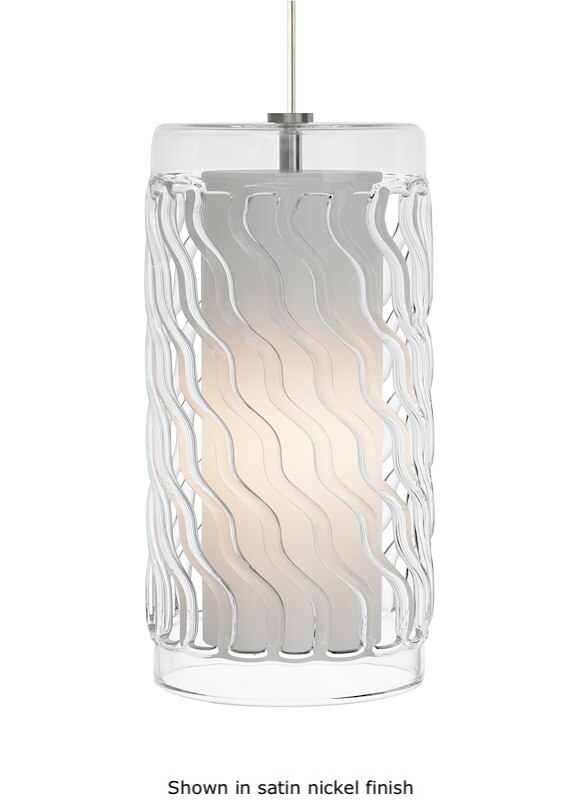 Its large glass cylinder has a striking open diagonal motif which allows illumination from the inner white glass shade to shine through. Black, satin nickel, and white finish options highlighted with satin detail and clear cable; antique bronze finish highlighted with antique bronze detail and brown cable. Includes a 60W BT15 lamp or 26W GX24Q­3 base compact fluorescent lamp. The fixture is provided with six feet of field­-cuttable cable. 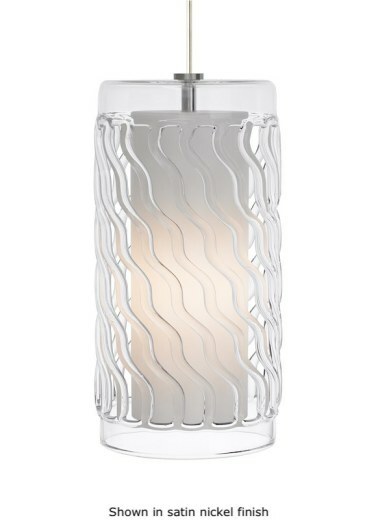 The incandescent version is dimmable with a standard incandescent dimmer. This product can mount to either a 4" square electrical box with round plaster ring or an octagon electrical box.